And in the first 3 months of the year we have witnessed some of the biggest changes EVER t o the way that we acquire our new patients at the Paul Gough Physio Rooms – especially when it comes to using the Internet. 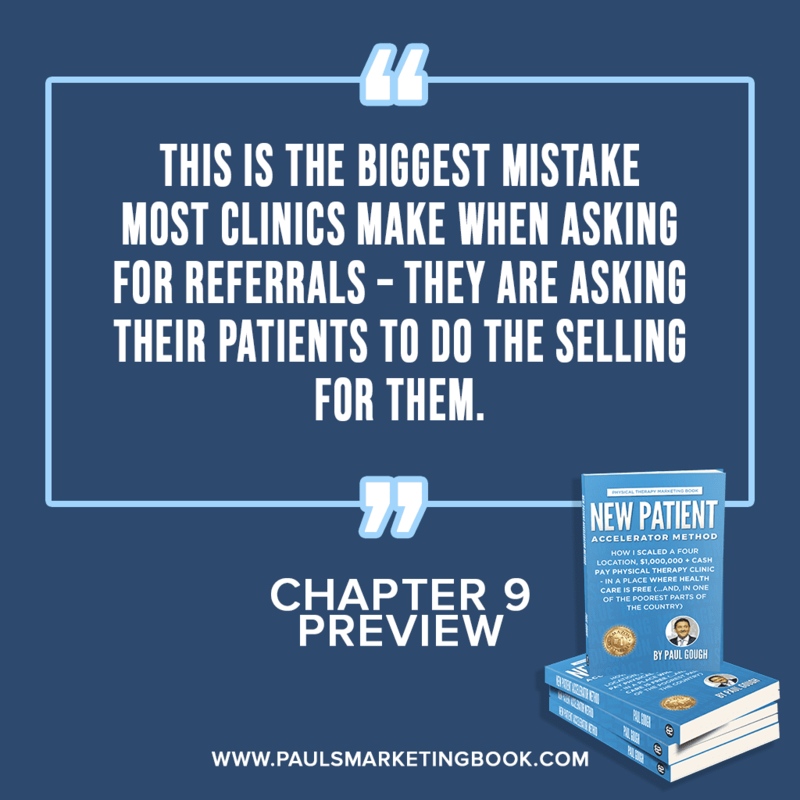 And because of that, I have decided to put together this new Free Report which shows you 3 ways that most successful clinics are NOW – in April 2017 – using the Internet to get new leads and patients for their businesses. 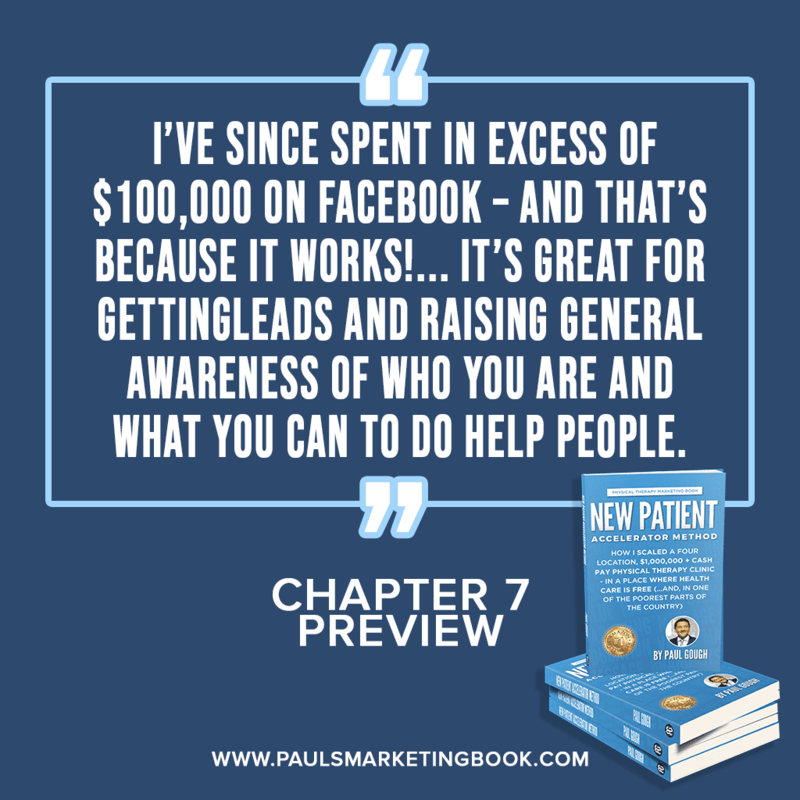 If you’ve ever tried to use Facebook, Social Media – even Google – to get in-front of new patients in your community then you’ll know it can be frustrating. It’s been getting harder in the last 3 months to make it work and that’s because the consumer is becoming more resistant to methods that used to work in the past. 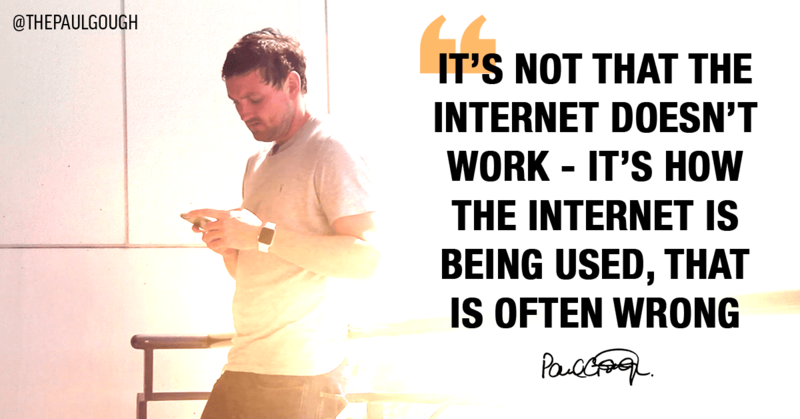 It’s not that Internet doesn’t work – it’s HOW the internet is being used, that is often wrong. In this report I detail 3 ways you can use the Internet differently. Much of what is inside the report has only come to light in the last 3 months or so and I strongly advise that you read it – especially if you are wanting to make a success of Facebook, or you are spending any time/money on Social Media. Click this link to get your free report. 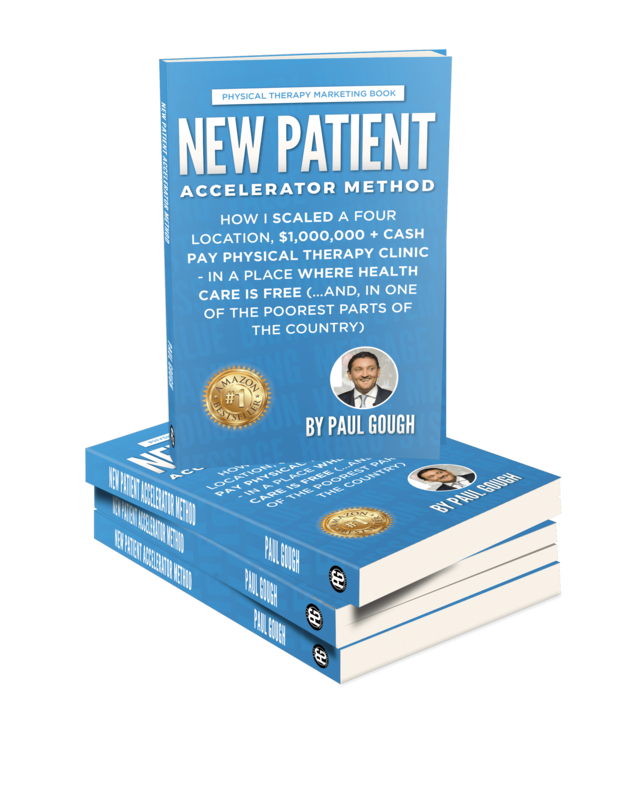 Because of the recent consumer changes – we are making urgent additions to my flagship Marketing Program – the “6 Week New Patient Accelerator” and we are preparing to release it to the public much EARLIER than we anticipated this year. Click here now if you want early notification of the opening of the 6-Week Marketing Masterclass that we are rolling out earlier than planned due to these big shifts in the way that the consumer is choosing a PT. What’s The Difference Between A PLAN – And A Marketing System? I hear you talk about both. Can you shed some light on the difference between the two as I am pretty sure that I need both – I just don’t know which one to start with”. – Mike, Turning Point PT, Oregon. And, let me answer it for you. 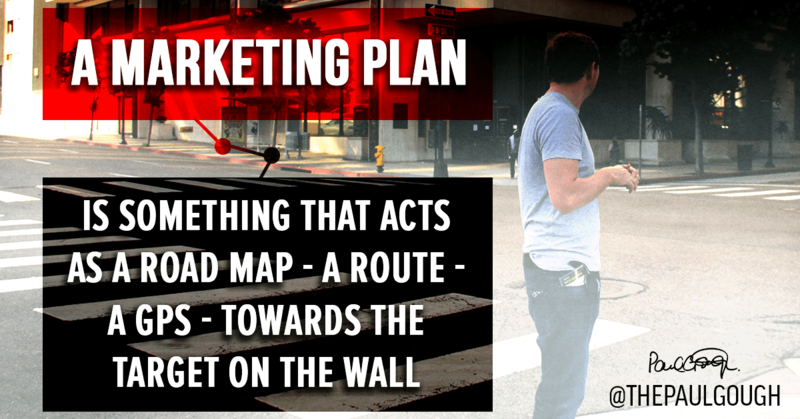 A Marketing Plan is something that acts as a road map – a route – a GPS – towards the target on the wall. What’s the “target on the wall”? Well, that could be something like $10,000 per month revenue from cash-pay patients, or direct-access type referrals. If you are an In-Network Provider – setting a PLAN like this – and executing it – is likely to be the best money you’ll ever earn. Because if 80% of your business, that is reimbursed by Insurance, is averaging $110 – and you can bring in an additional 20% of revenue at a cash-pay rate of, lets say, $170, then the additional $60 profit is all YOURS. You and I don’t have that luxury. So what is a Marketing System? A SYSTEM helps you to hit the numbers that you set out in the PLAN – more easily and faster. So the inevitable question is, which one should you concentrate on first? …others, they want to do the ground work FIRST, line all the ducks-up in the right spot – THEN get the system running. That you make a start! …39 of the worlds greatest Business Owners gathered together to discover what is truly possible for their business. What is the purpose of a Mastermind Event – as I see it?? and THEN know what action to take once you do (become aware)”. That’s us all at the drinks reception – my boy “Harry” included – all yapping about what had been covered in the day. One of the main topics we discussed? 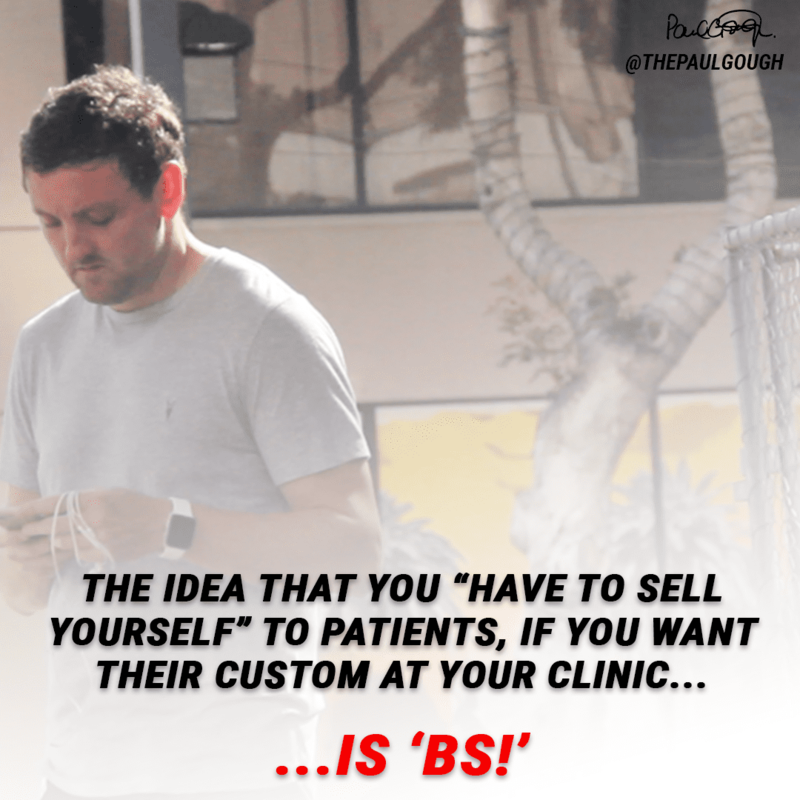 The idea that you “have to sell yourself” to patients, if you want their custom at your clinic. The reality of that statement? It comes wth the FALSE belief that people make decisions on things like your “skills”, how many CEU’s you’ve accrued, how many years “experience” you have, how many awards you’ve won and so on and so on. But, and to give it some context – when was the last time you got on an Aeroplane and asked the Pilot how many flights he’s flown, how many hours in the flight simulator he’s had, when his last training weekend was – or even, when was the last time he’s actually flown this path you’re going on. No body does that – and even if they do – there wouldn’t be enough to run a profitable airline. How do we choose an Airline? We pick the place we want to go – we find the Airline that seems to be able to fit our needs best – and book it. Their decision to choose a PT (in the free market of direct access) is based upon their PERCEPTION of whether or not you can get them to their final destination (golf, cross-fit etc). The easiest way to change their perception? (If the conversation is about you – you loose). …and make the “selling conversation” about them and the DESTINATION that they – the people you serve – want to get to. Do that, and watch how little energy you’ll ever have to use in selling yourself. Press Play: Why You Don’t Need To Sell Your Self As a PT! 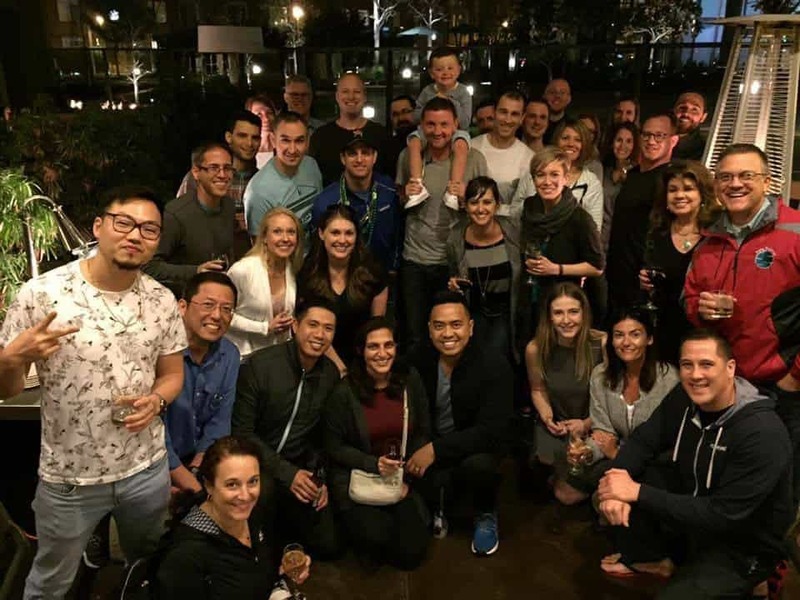 …it’s a special group and every one of them is working with me to learn how to build a business that that is successful with OR without them! P.S Do we need to talk about your clinics Marketing Plan? …and you’re judging your entire Marketing success on this one ad. You need to plan your Marketing 30, 90 and up to 12 months in advance. …and, take you through a 4 hour exercise that will show you how to budget and forecast a 12 month Marketing Plan that’ll work for you year on year. If you are planning on doing any direct-to-consumer Marketing in 2017 – to get your clinics name and brand out there – it’ll help if you have a Plan. Be sure to subscribe to the podcast on iTunes and the show on Youtube, to keep up with the pack! On this Physical Therapy Profit Academy Tutorial we’re going to show you strategies to get more visitors – and potential new, high paying clients, to your website. It’s amazing just how “neglectful” of their website many business owners are. Most won’t or don’t want to accept it, BUT, your website IS your business. …Then you’re missing out on a great opportunity to generate more revenue and profit for your PT clinic. Basically everything online is changing and just like the iPhone, the internet is rapidly evolving too. Your clinic’s website now, is the profit center to your business. Once upon a time a website was just a sideline. It was something as a business owner you quickly set-up without much thought because people said you needed one. 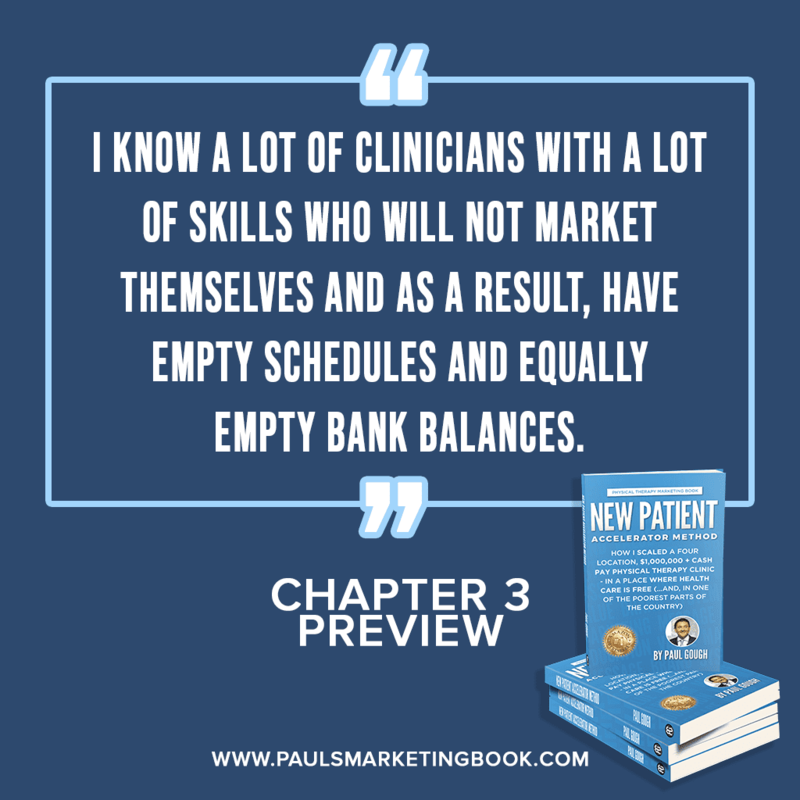 And you probably had a lot of people tell you that if your practice has a website that looks nice, is dressed with lots of fancy buttons and pretty pictures, then people would be calling your clinic and simply come to you! Well unfortunately, that’s not the case. Essentially your website, and the online presence that you have, is the defining presence of your business. Having an online presence where people can effortlessly find you – is now critical to flooding your clinic with new patients and being the go-to PT in your small town. 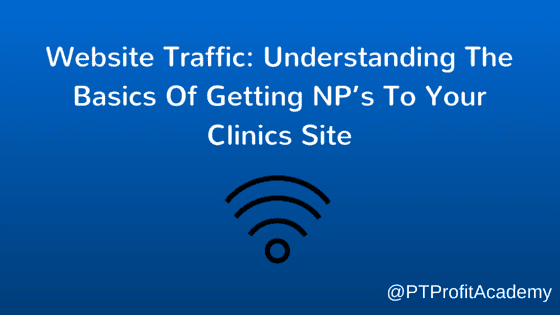 How can YOU be the first PT clinic someone finds when searching online? Right now, how many ways do use to get people to visit your website? One? or maybe there’s two? 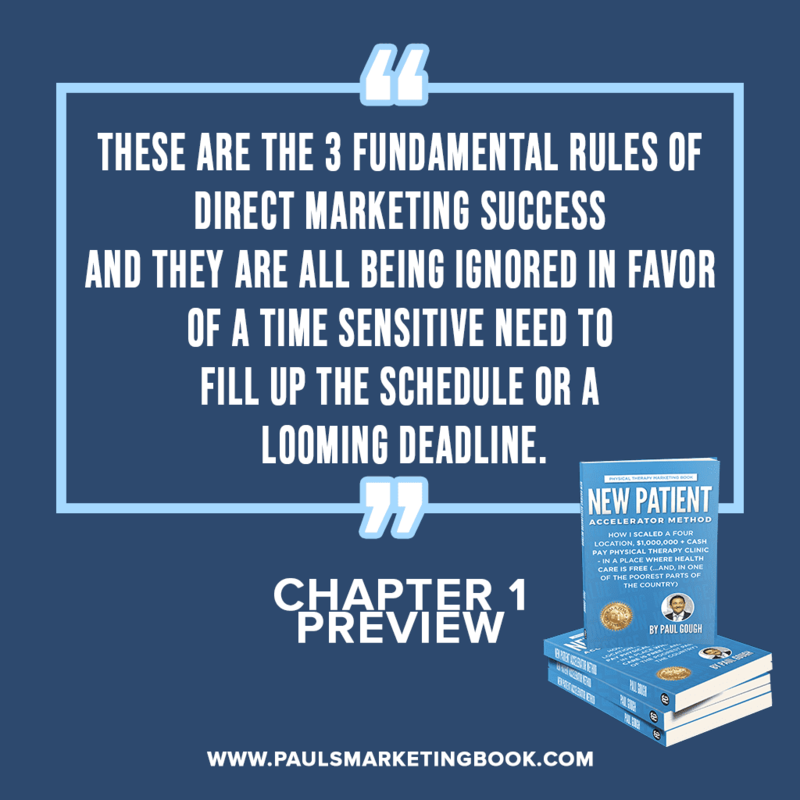 For most people there’s only one way that they’re currently using to attract new patients to their site, and sadly for the majority, it’s usually ‘by chance’ that people arrive there. But the thing is there are MANY things that you can be doing to increase your chances of being found online to attract HOT prospects. I’ve found NINE ways to bring a constant stream of heavy traffic to your website – and even though this took me a while to figure out, once I put these nine things into place, I never have to grow tired again of battling physicians, and getting ‘beat up” by insurance companies to siphon new patients. Just imagine if you could get rid of that headache too? This marketing tool is a money magnet. We can use an advert to get people to call our clinic AND send to people to our website. As well as placing our clinic’s phone number on the ad, our website will be there too, which means before they call, people will visit our website to check our clinic out. It’s known human behaviour – 8 out of 10 people will go onto your website purely out of curiosity. Just like if you were booking a hotel online – you’d go to their website first, and if they make a good first impression, you’re sold! You might think that the decision to buy services from you is being made on the advert and the telephone call, but their decision to buy is influenced in a HUGE way by what they see on your website. 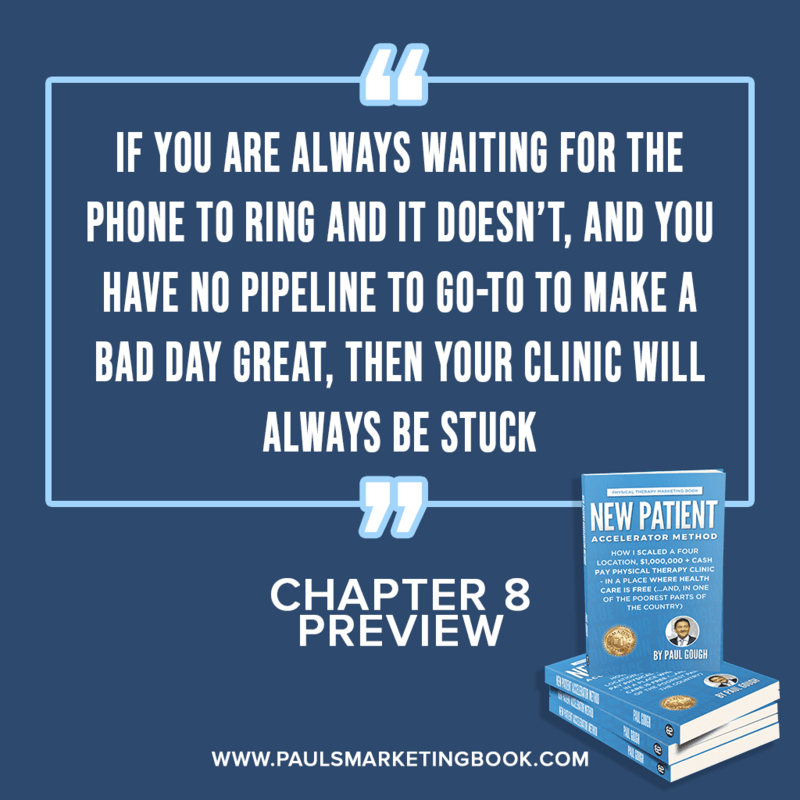 People will read all about you, your staff, your clinic’s history, your Marketing message… and that will influence whether they pick up the phone or not. Everything you can do to get people back on your website is going to help boost your profits and sales in the long run – especially if you have a site equipped with an amazing marketing message. It’s a marketing course I created to show you simple ways that you can summon a flood of patients as soon as tomorrow with your online presence. 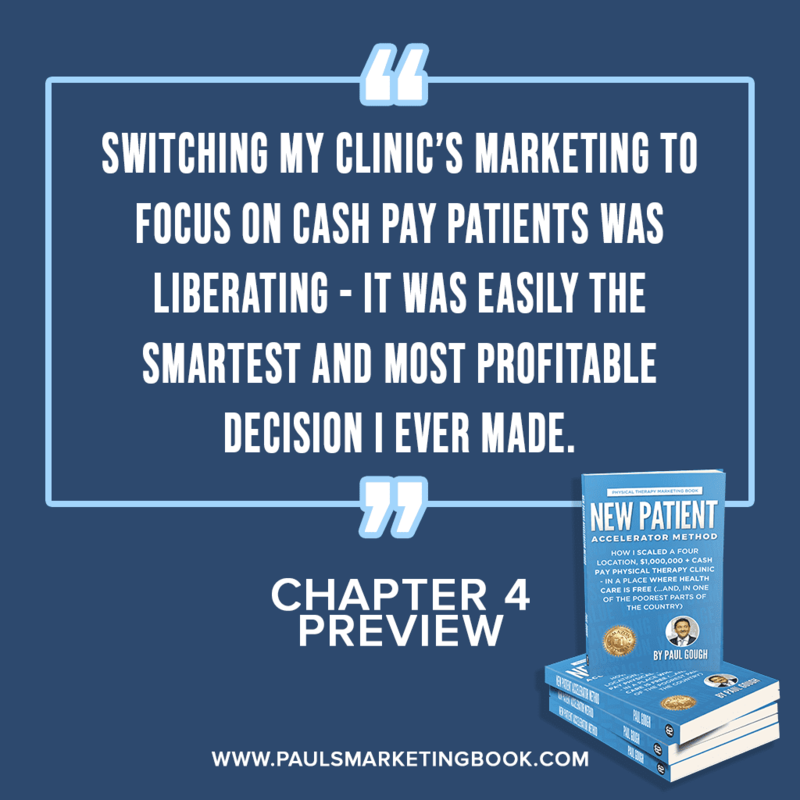 I’ve spent years mastering these strategies, and thanks to mastering them I was able to build a cash-only PT practice worth over 1.7 million dollars AND in a country that offers completely FREE services to what I do. You’ll have instant access to the exact tools I use to multiply your income straight away. 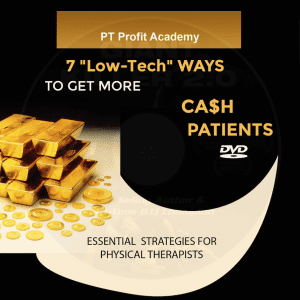 On this PT Profit Academy Tutorial we show you how to get more of your patient’s FRIENDS and FAMILY to show up at your clinic. In clinic with a patient who KEEPS on telling you that their friend or family member SHOULD be coming to see you. That this person has neck or back pain (…or any kind of pain that you can solve) and yet they refuse to come in and see you, no matter how many times they tell them how good you are and what you’ve done for them! It’s a common problem. And one that is costing you a small fortune when you work out how many times it happens – but one that can effortlessly be overcome, when you learn how to overcome those objections skillfully. Now most PT’s will continue to nod in agreement with their patient about why they should keep on “telling” that person to come and see them. But that’s not the right way to do it…. 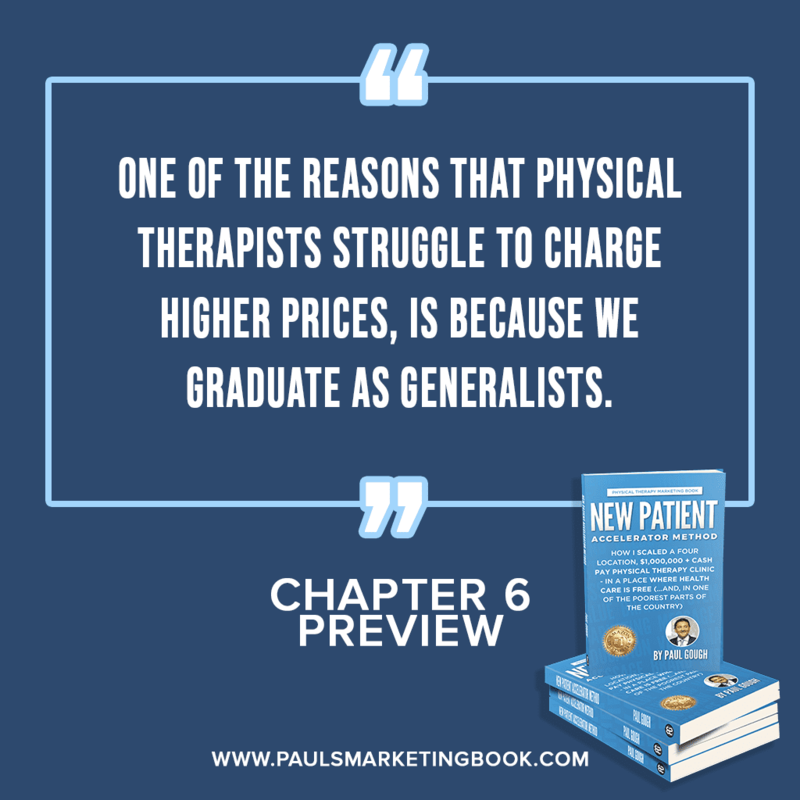 There has to be a different conversation that takes place OTHER than one which is in the best interests of YOU (as the PT who stands to make money) and even that of the potential patient who stands to live with less pain. When possible, that different conversation needs to be aligned with how it’s in the best interests of YOUR PATIENT (…the one you’re currently in clinic with and helping). And it’s a scenario I had this week with a PT Owner who is a long-standing member of my coaching program. As part of one of the Live Group Calls we all have together we talk through different case studies and scenarios happening in our clinics that if we just changed the way we communicate with those patients, could very well result in a different out come. Ultimately, an outcome that has more patients coming to see us! And in this particular call, we talked through a case study of a WIFE who IS a patient, who keeps telling this PT about her husband, who ISN’T a patient, who is in lots of neck pain and really should be getting PT. And yet no matter what she says, he just won’t come down. Now, you might think that the way to get the husband to come down is to just keep asking the wife to keep talking to him about YOU! What we have to do in this scenario is something completely different and I’m about to show you how. If that was me faced with that patient, and in this scenario, I would just be having a conversation about how his hindered lifestyle impacts HER… and I would want to get her “irritated” so much by her husbands situation that she physically drags him down to my clinic. That’s all you can do. I’d bring it up right at the end of the treatment with her and it would be the last thing that I would say to her after every session. I would want her getting in that car “full of hell”, driving back, literally wanting to drag him in that car to my clinic because she’s now realized that it’s her life that’s being affected, just as much as his! That’s the only way you’re going to get that to turn around in your favour. In a nutshell that’s what I would do to get this patient to my clinic. She’s the driver, she’s the one who will make that decision for him when she realises it’s now about her and not just him. Instead of having an email chipping away at him everyday, this time you’ve got that wife chipping away at him every single minute of his life because now it’s her life that is affected, and she has realized the significance of having a husband at home who isn’t cleaning up, who isn’t cutting the grass, who isn’t his joyous self who wants to go to the cinema, or go on date night, or whatever they do… so now it’s in her best interest to get him to see you, because it affects her. That’s how you deal with that. That’s the question — everything else is just the same but lame. Any other attempt is just like how most people do their Marketing, trying to be “bigger, better or faster”, marginally better than others but still running in the wrong direction with all their competitors because their STRATEGY is completely wrong. My advice would be to just get off that “oh just tell him to come in” train, and get on another one… and start talking to that wife about how his neck pain affects HER. Emotionally fire her up so that she drags him with her to her next session. Do that and you’ll win more times than you won’t when it comes to getting people to your clinic like this. When he gets there, he’ll realise that you’re very skilled at what you do, and a couple of treatments in, the progress will be evident and you’ve got yourself a very happy wife, and a husband who is happy and healthier, too. 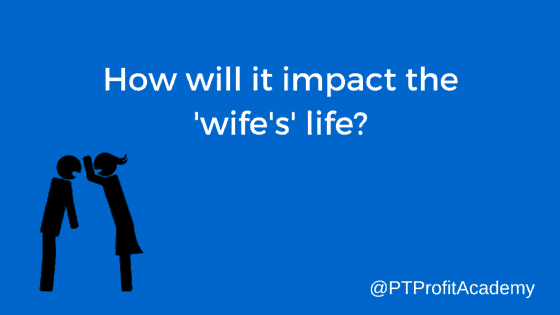 Who knows… you may have saved their marriage as well as solved his neck pain! Just a thought. 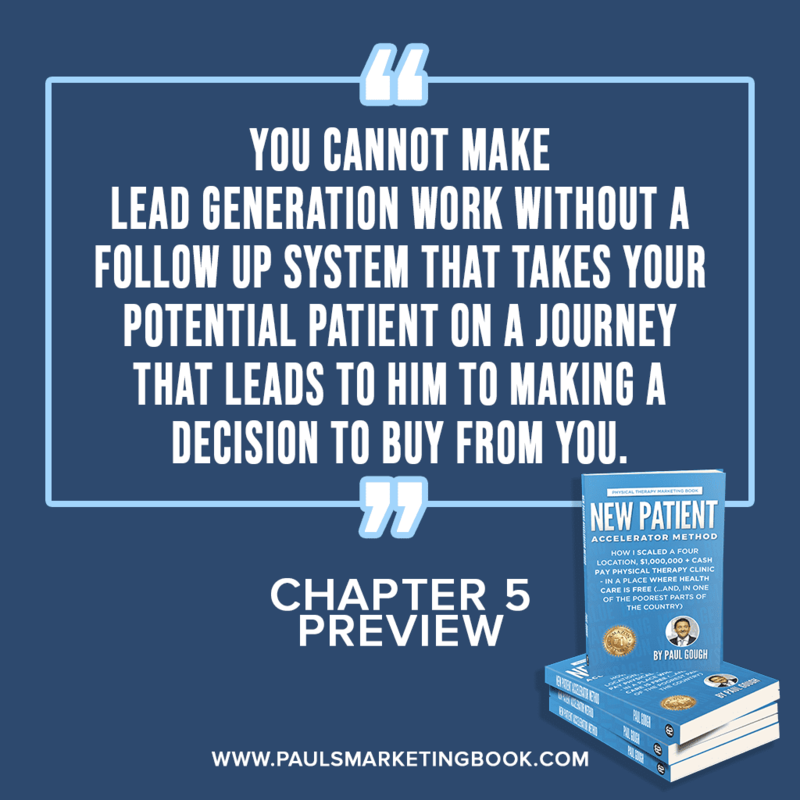 It’s a Marketing and Sales Mastery Program that shows you how to acquire more Np’s AND for a limited time we’re giving away a special bonus report entitled: “Make them Say Yes!” – and it covers the 16 most frequent objections to patients booking appointments – AND what to say to overcome each one. You’ll also be walked through precisely how to market for your ideal patients coming to you directly using things like postcards, newspaper adverts, newsletters and referral flyers. 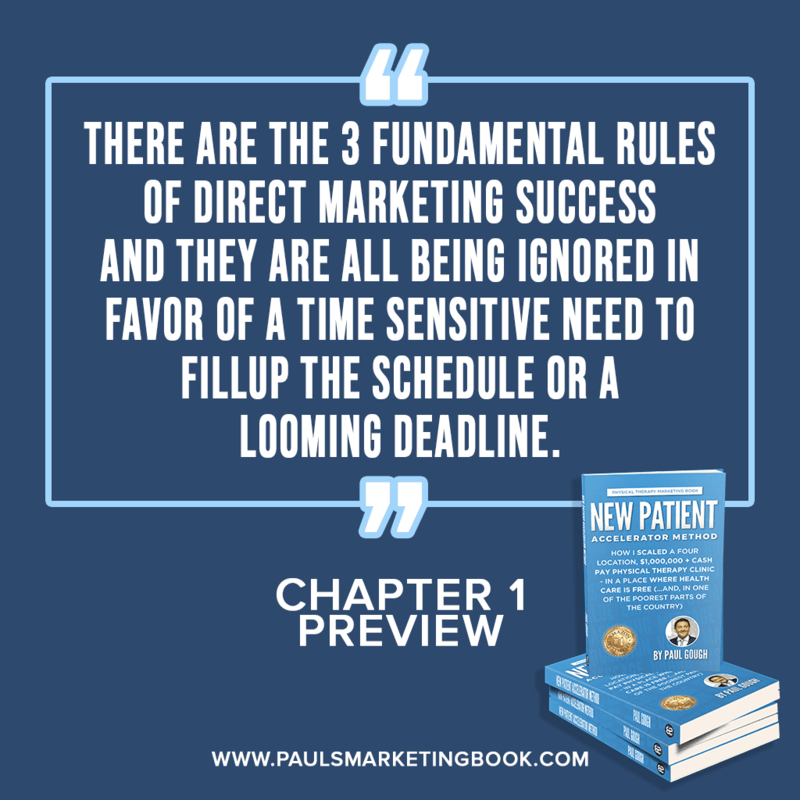 For more marketing (and sales) ideas like this join Paul’s email list now and we’ll send them directly to your inbox.